Although it was bitterly cold outside tonight, the ever popular Kodaline managed to warm up Leeds Arena for what was going to be one of the best gigs I have ever seen. 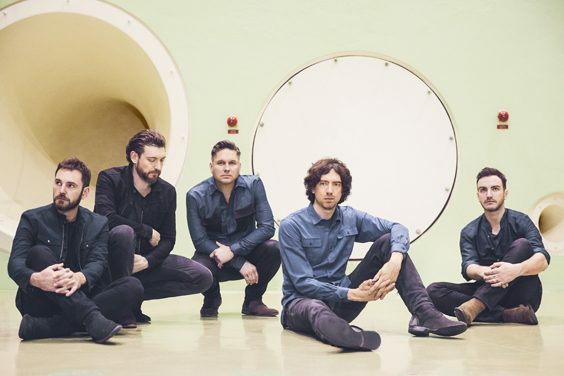 Snow Patrol might have had a seven year hiatus, but tonight they are back with full force, playing to a sell-out crowd. Opening their set with ‘Take Back The City’, the energy levels are immediately set to the highest bar. 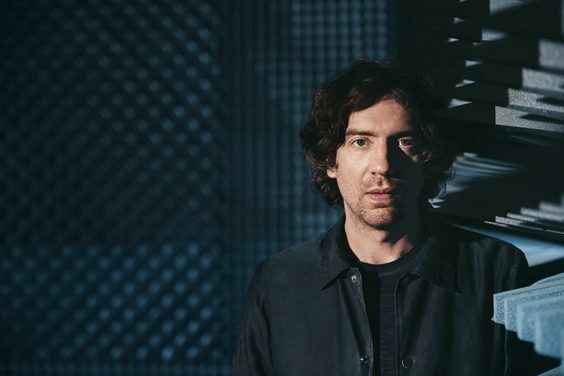 Gary Lightbody looks like he has taken the bull by the horns and is going to give it everything – and all while wearing the biggest grin. It soon becomes apparent how much him and his band have been missed. After the first song, Gary addresses his loyal mass of followers and apologises for not really doing much in the last few years, and expresses how amazed he is that anyone has bothered to turn up tonight. With that, they lash into ‘Empress’, the second single from Wildness. Its confrontational lyrics sit apart from past offerings, but it’s still anthemic, with some blistering melodies. Lightbody’s vocal chords are now definitely warmed up, and they are straight into ‘Don’t Give In’, also from the new album. There’s a neat Celtic undercurrent to it, with some exceptionally tight rolling and intricate drum beats from Jonny Quinn. Lyrically this is such an uplifting, feel-good song and the drive that went into it was outstanding. Definitely a contender for ‘best in set’. ‘Open Your Eyes’ provides the perfect opportunity for the band to simmer down on stage, as Gary commands each layer of the audience, from top to bottom and back again to repeat his lyrics. The top tier coming in late each time with the smallest of delays, much to Gary’s amusement. This is followed by the unmistakable ‘Run’, which proves a firm favourite with everyone in the building. It is hard to believe it was written 18 years ago. The lights up until this point in the show had been bold blocks of glorious, retina-burning colours – but it was at this junction that things step up a notch, both musically and visually. During ‘You Could Be Happy’ a laser show perfectly complement every note, before and the rousing ‘Life On Earth’ simply blows me away. Gary explains to the crowd that it took him five years to write that particular song, and there did come a time when he thought that his song writing abilities had dried up. I’m glad he was wrong on that score. ‘Life on Earth’ is one of the best they have ever produced – and Lightbody sings it with such passion and emotion that it’s clear he thinks so too. ‘Make This Go On Forever’ is a poetic masterpiece, with the gritty guitars and lyrics highlighting a Depeche Mode influence. The crowd lap it up, and pretty much hijack the next tune, ‘Shut Your Eyes’, from the 2006 album Eyes Open. They chant “Shut your eyes and sing to me” back to Gary, with the rest of the band behind them in full force. The entire set is so atmospheric tonight, and steeped with classics from Snow Patrol’s now vast back catalogues. There’s a very touching dedication of ‘Lifening’, to Gary’s father who has dementia. He takes a moment to compose himself after the last chord drifts through the arena. Occasionally, throughout the set, there is a mesh box which drops down around the band, onto which some amazing images and patterns are kaleidoscopically projected, with dramatic effect. ‘Heal Me’, sees the band surrounded by a whirling dervish of origami paper flowers, which react to each note the band belts out – it really is breath-taking. The band delve back into the not so distant pas for the classic ‘The Lightning Strike’, from A Hundred Million Suns. The instantly recognisable ‘Chasing Cars’ is dedicated to the boxer Carl Frampton for the determination that he showed in his loss to Leeds lad, Josh Warrington, before the end of the set comes all too quickly. There’s a ‘fake’ encore, and then the last song, ‘You’re All I Have’. Again, the voices of the masses lift the roof from the arena. After the shortest of moments, the band are back on stage, and some thin purple lasers light up the air space in the middle of the arena, and write the words: ‘What if this love is all the love you ever get?’ Aptly, it’s the first of just two more songs played tonight. The imagery in the song is so powerful and raw that the emotion is almost overwhelming. ‘Just Say Yes’ ends an incredibly entertaining and moving night. The band, once again, thank everyone for still being around for them, and promise everyone that they won’t leave it as long next time. After a night like tonight, I hope they’re right.